Car at The Bull C. 1920? Using the Parish Register, the Census, newspaper reports and old Directories it is possible to get some picture of The Bull during the last two hundred years. Readers are invited to add information, memories and photographs more from recent times. 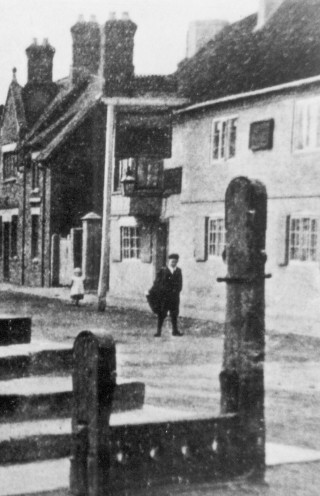 The Bull Inn, situated in what was the Market Place, close to the cross and stocks, must have been at the centre of village life for over 300 years. 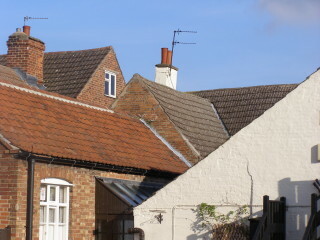 The present building is believed to date from 1726, though there may well have been an inn on this site before that, according to some sources as early as the 16th century. It is claimed that the Bull has been a coaching inn since 1620. Certainly, once the road to Nottingham became a turnpike, The Bull would have been the obvious place for coaches to stop and we are told that the bay window which overhangs the main door was used as a look-out point so that the landlord could be warned of the arrival of new customers. By 1822 The Bull was one of five inns or alehouses in the village and was known as the Black Bull or the Bull’s Head. 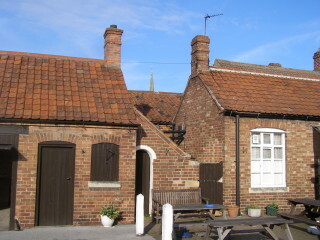 The landlord was David Hoe, who had married Mary Hollingsworth in 1807. They had eight children, six boys and two girls. 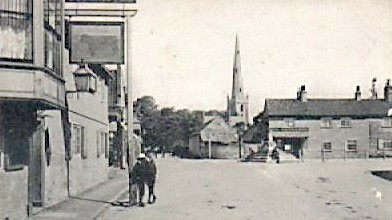 Not surprisingly, the Hoe family did not stay at The Bull. The 1841 census lists its occupants as Edward Ayre, 36, Publican and Elizabeth, 46, his wife. Both were born outside the county, according to the enumerator. They had a 10 year old daughter, Rebecca. The Parish Register suggests a more confusing, and sadder, picture than the census. There were already Ayres in Bottesford who may have been close relations of Edward; John, born in 1771 and his wife Elizabeth, born in 1775. Perhaps Edward Ayre was their son. In 1828 Edward Ayre, then 24 years old, married Elizabeth Lamb, the 20 year old daughter of Daniel Lamb, in Bottesford. In the next five years they had four daughters, Maria, Rebecca, Mary and Elizabeth. Mary died in infancy in 1832. The following year, shortly after the birth of Elizabeth, the fourth daughter, their mother Elizabeth died. She was only 25 years old. By the time the first, trial, census was carried out in 1841 Edward Ayre seems to have married again, to an older woman also called Elizabeth. Perhaps Edward felt he needed someone who could care for his three surviving daughters after the death of his young wife. If so by 1841 only Rebecca was still living at The Bull. Of Maria and Elizabeth there is no further mention. By 1851 The Bull had changed hands again. According to that year’s census the new landlord was Mark Ragsdale, 42, from Sutton in Nottinghamshire. His wife, Mary, 44, came from Croxton. It seems probable that they were related to the Ragsdale family recorded as living in Bottesford since at least the seventeenth century. They had no children living with them and on the night of the census there was only one visitor staying at the Inn, Lucy Wing, a farmer’s daughter from Grantham. Two servants were living-in, Ann Ogden aged 19 from Ponton and 16 year old Richard Haynes from Waltham. The servants quarters were in the attics, approached through a tiny door now in the bathroom of the living accommodation. The 1861 census gives the landlord of The Bull Inn as William Barrand, Licensed Victualler from Stoke in Lincolnshire. His wife is a Bottesford woman, Ann Norris aged 37.They have two daughters, twelve-year-old Mary and five-year-old Sarah. 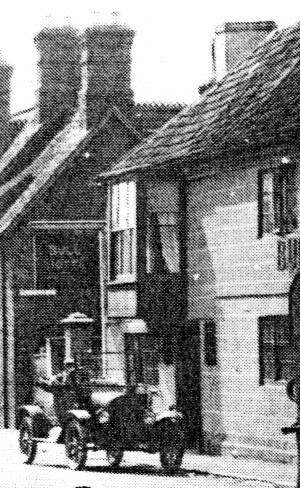 Also living at the Bull are the barmaid, Harriet Millband from Sproxton, and a ‘general servant’, Ann Leak, 22, from Knipton. The Parish Register also tells us that another son, Robert Norris Barrand, was born on 1864, but died aged 2 in July 1866. The Barrands stayed on at The Bull, they were still there when the 1871 census was taken, and they seem to have prospered, since in addition to being Licensed Victualler, William was also listed as ‘owner of 10 acres’. While daughter Mary was no longer with them, a son, William, 23, was back at home and in addition to Sarah they had another daughter, nine-year-old Eliza. There were new servants; Sarah Lilly, 22, from Woolsthorpe and a local girl, Ellen Brewitt, 15. 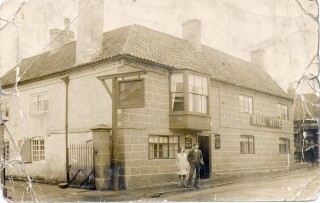 The landlord of The Bull in 1891 was a Sleaford man, Alfred Baily aged 42. The census reveals that The Bull was occupied by Alfred and his wife, Elizabeth, with their daughter Ann,18, acting as barmaid, while a son, Edward, was still at school at 16. Alfred’s older sister, Elizabeth, worked as a ‘general servant (domestic)’ and was assisted by 21 year old Florence Hallam, who was born in Stathern. A fourteen year old boy from Orston, William Rylatt, acted as groom. The name Baily occurs quite frequently on the Bottesford Parish Register, so perhaps there was again a family connection. 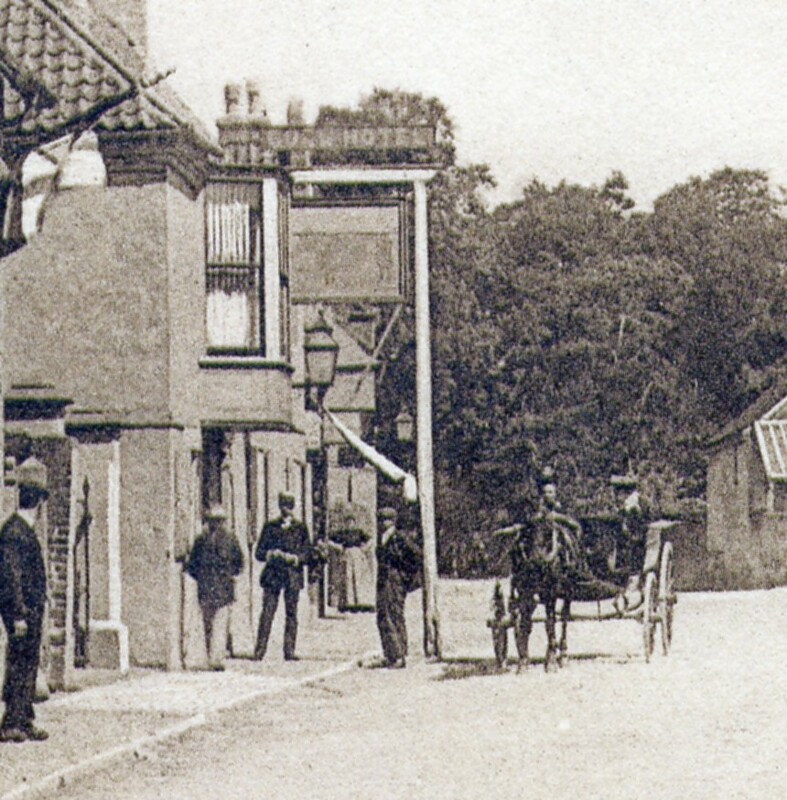 By 1899, Wright’s Directory tells us, The Bull Hotel was in the hands of the Goodson family. The Census of 1901 records that George Goodson, 50, ‘innkeeper and farmer’ and his wife Martha came from Stathern. Their son, William, 21, was also a farmer, while their younger son, Herbert, 17, was a butcher. 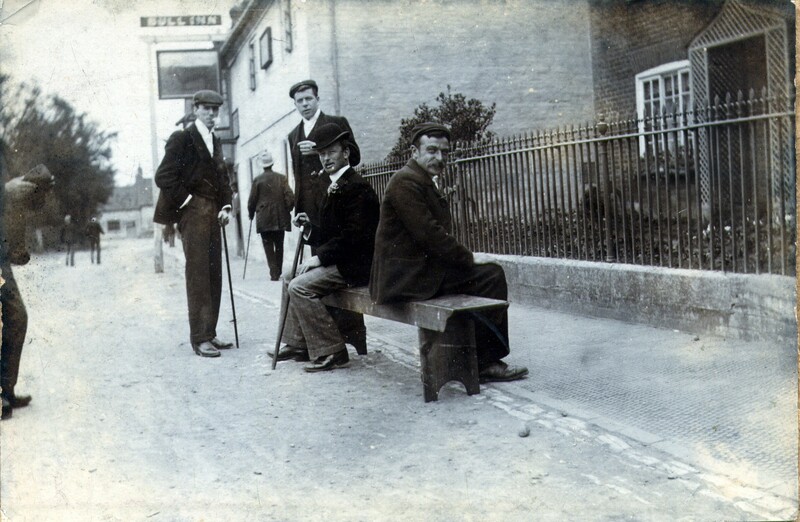 Providing for customers’ horses seems to have become more important, since there was no live-in servant, but a boy from Bottesford, Robert Harrison, 15, was employed as ‘ostler/groom’. 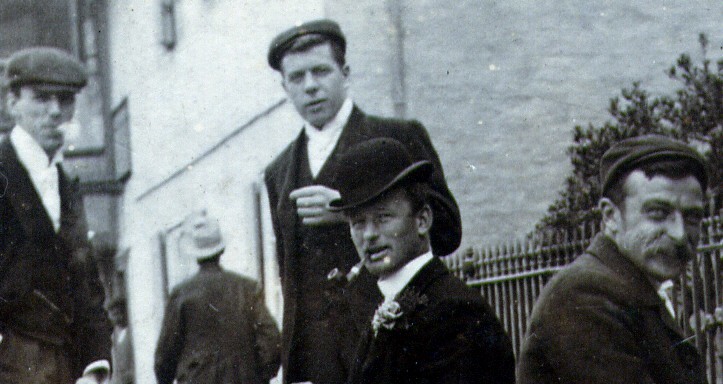 Kelly’s directories for 1908 and 1916 confirm that ‘George Goodson, Black Bull’, is still a publican and farmer. 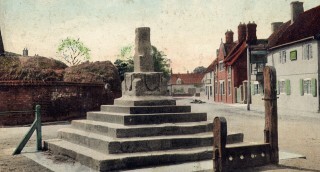 Old photographs of The Bull show that its sign once hung from a gallows-like structure over the pavement and the yard was enclosed by gates hanging from handsome gate pillars. Market stalls were set up in the courtyard and auctions and sales were held inside. 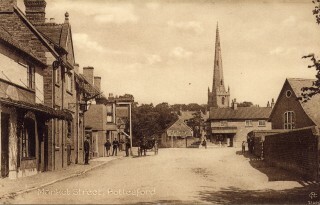 People who attended BottesfordSchool in the 1940s describe the yard of The Bull as being more like a farmyard than the car park we know today. Today the Bull is famous for its connection with Laurel and Hardy. 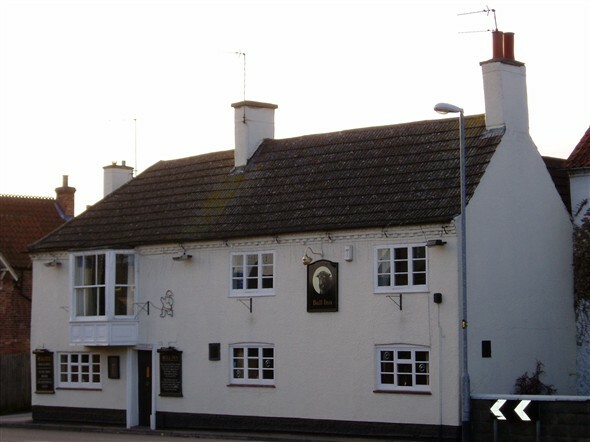 Stan Laurel’s sister, Olga, married a Grantham man and together they ran The Plough in Barkstone until 1948, when they took over The Bull. In 1952 Laurel and Hardy stayed at The Bull for Christmas, entertaining the locals and even helping to serve behind the bar. 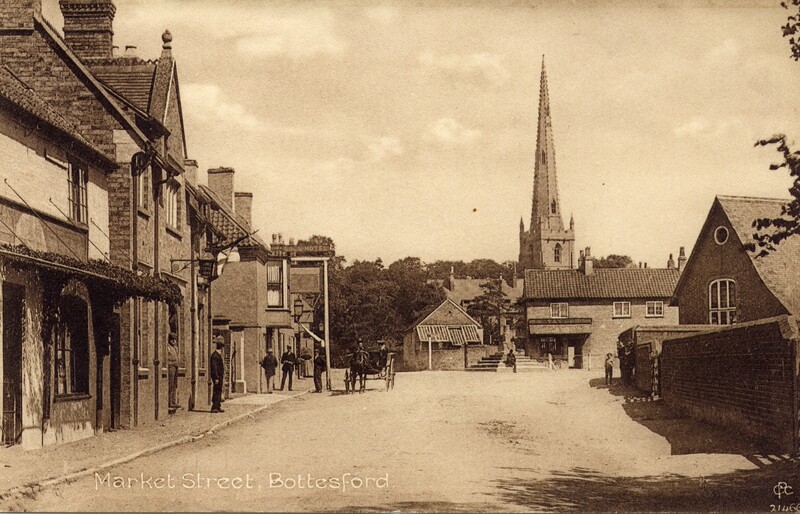 Older residents of Bottesford still recall the excitement of that visit, which is celebrated every year by fans of Laurel and Hardy. “Stan Laurel and Oliver Hardy stayed at this 18th Century Inn whilst appearing at the Empire Theatre Nottingham during Christmas 1952. Over the years both the exterior and interior of the building have changed. There were originally two small rooms where the lounge bar is today, while the remaining rooms were private. A passage ran where the present bar stands, which lead to the stairs to the servants attic rooms. In the 1970s, when George Hodge was landlord, a Hammond organ stood opposite the door. 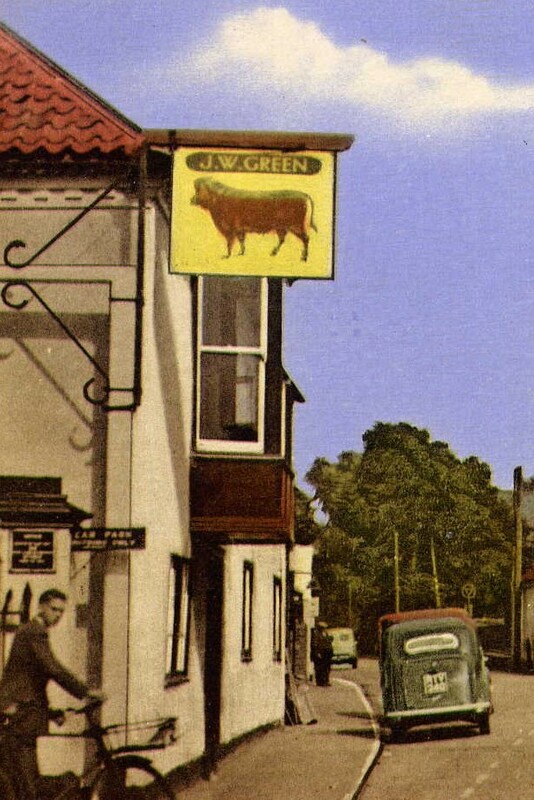 In 1980s The Bull was run by Pat and Hazel Preston, who tried to revive the market in the yard and opened a Laurel and Hardy themed disco bar, with flashing lights , a juke box with 240 records and an ‘intimate dance floor’. 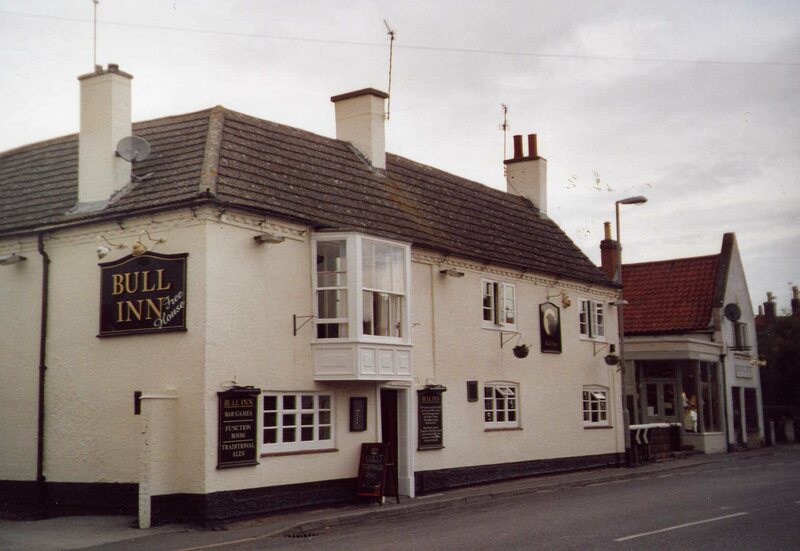 Carol and Bob Towlson ran The Bull from 30th June 1992 until the 30th June 1999. The Friday night ‘crush’ in the lounge was quite an event with people literally hanging on to the bacon rings. The Bull has featured in a number of radio and television programmes about Laurel and Hardy, most recently in the Summer of 2006. Apart from its regular customers The Bull now plays host to Camra members who come to sample its guest beers and also provides a meeting place for a whole range of local groups, from Bats and Bellringers to Morrismen and Mermaids. This page was added on 16/01/2007. Would like to add that in the 1881 Census, Ann Barrand nee Norris , 57 yrs old widow of William Barrand, was running the Bull Inn assisted by her 2 daughters, Sarah Ann Barrand and Eliza Barrand, with 2 servants. My early recollections of the Bull. Both I and my brother John were apprenticed Painters and Decorators with Mr Allan Abbott and my brother John to Lou Abbott the father of Allan. The external of The Bull was one of my first real taste of painting. The external stucco finish was extremely difficult to pant. Also it was the first time an emulsion paint P. V. A. Hadrian Synflat was used externally with great success and back then to obtain different levels of gloss you just added a product called Synseal, which nowadays is the equivalent to P. V. A. wood glue. During this time every Saturday morning which then we worked a 44 hour week, it was spent in the Bull Yard preparing for the next weeks work, as our paint store was in one of the old stables second in from Queen St. Regards Michael Bradshaw Ex Bottesfordian. Do You Remember the Haunted House?